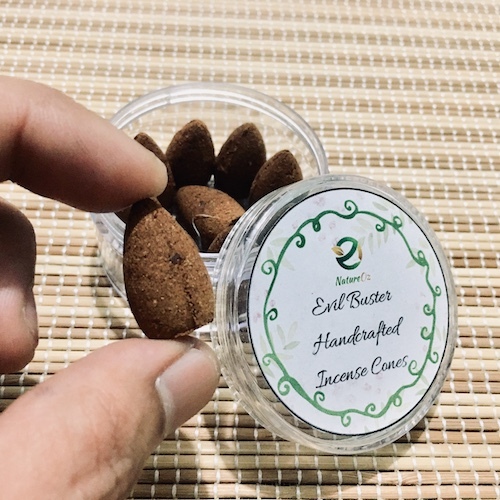 Buy organic incense cones from the most trusted online incense shop in the Philippines. Our incense cones are handcrafted from the finest herbs, resins, woods and essential oils. It took us three months to create the perfect recipe without using saltpeter or other toxic additives. This allows our incense cones to give off clean and pure aroma perfect for cleansing. Each pack contains 10 incense cones, each of which can be burnt for almost 30 minutes.